Comes standard with the Alen® T500 Tower Air Purifier, the Alen HEPA-Pure Filter combines three layers of filter technology to purify and freshen the air in your home. 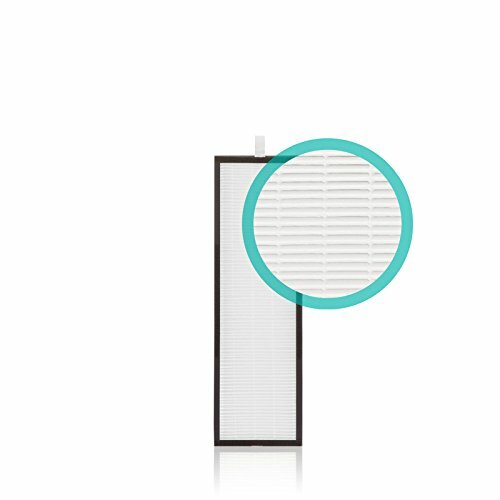 Polluted air first passes through Alen's washable Pre-Filter to capture large particles, extending the life of the filter. In the second layer, air moves through a unique electrostatically charged HEPA type material that attracts and captures dust and pollen. Creates an allergy and asthma friendly environment by removing dust, pet dander, mold spores and pollen from the air. Helps maintain a clean household by reducing dust. Over time, the HEPA-Pure Filter becomes overloaded with particles, decreasing its filtration performance. We recommend replacing your filter every 6 months for severe concerns or when running your air purifier 24/7. Replace your filter every 12 months for light concerns or when running the air purifier only as needed. There is no warranty on Alen filters. If you have any questions about this product by Alen, contact us by completing and submitting the form below. If you are looking for a specif part number, please include it with your message.